How does Mindfulness practice, Mindful Eating & Motivational Interviewing fit together? Very nicely, thankyou very much! 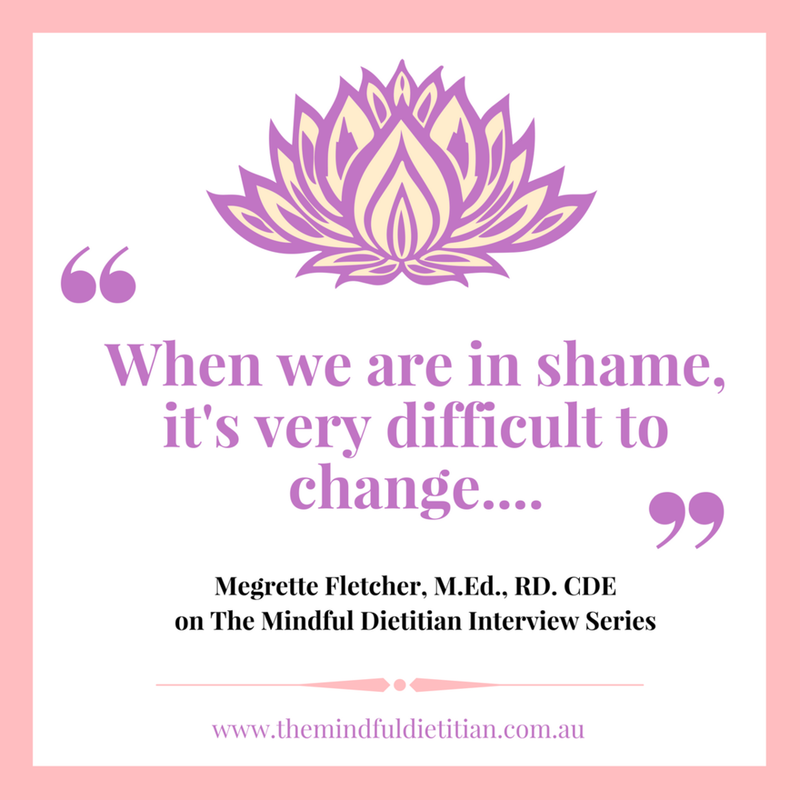 Join me as I speak with inspiring leader, author and Mindful Eating Specialist Megrette Fletcher, M.Ed., RD. CDERD as we dive down into some of the complexities of working with humans as we aim to support them to navigate their own experience. And our own! Breaking the shame spiral, starting with us! Major, B., Hunger, J. F., Bunyan, D. P. & Miller, C. T (2014). "The Ironic Effects of Weight Stigma." Journal of Experimental Social Psychology 51, 74-80. Tomiyama, Janet, (2014). "Weight stigma is stressful. A review of evidence for the Cyclic Obesity/Weight-Based Stigma model." Appetite (8-15). Megrette Fletcher is a cofounder of The Center for Mindful Eating and has served in many positions, including as the 2013-2016 president. She has maintained a daily meditation practice since 1999, and is a registered dietitian and certified diabetes educator who has worked at an area hospital for over 18 years. She is a public speaker and author of a number of books, such as The Core Concepts of Mindful Eating: Professional Edition, Discover Mindful Eating for Kids, Eat What You Love, Love What You Eat with Diabetes with Michelle M.D. ; Discover Mindful Eating: A resource of handouts for health professionals with Frederick Burggraf. To learn more about Megrette, visit her website at Megrette.com. Eat What You Love, Love What You Eat with Diabetes with Dr Michelle May M.D. Discover Mindful Eating: A resource of handouts for health professionals with Frederick Burggraf.